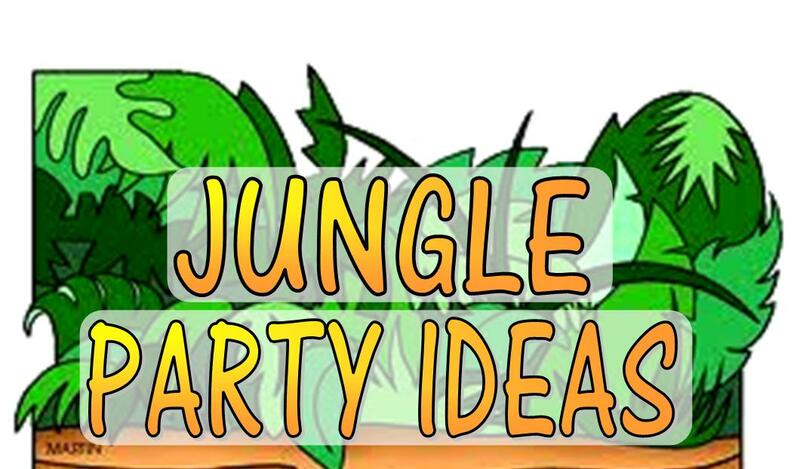 Hey it's a jungle out there, if your throwing a safari or jungle theme party you'll want to check out these jungle theme party games and decorations. . My jungle party games offer a variety of options from simple and easy to elaborate D.I.Y. games that will take a little creative elbow grease from you, others are as easy as pick and click to purchase. Let's get this party started with some awesome jungle games! Acting like a monkey, lion, snake, bear etc.. for 30 seconds. Rub your tummy and pat your head at the same time. Give a bear hug to the person standing next to you. Stand on one foot and clap your hands. Use your imagination when coming up with challenges and give prizes out for effort. Have twice as many balloons prepared as there are players. This ensures every child has a balloon when the music stops. Start with one balloon for every child then add one after every round. After the challenge is completed that child receives a prize, and the game continues until all the children have received a prize. 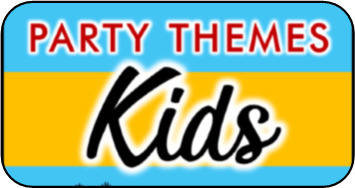 This fun jungle party game is always a hit. 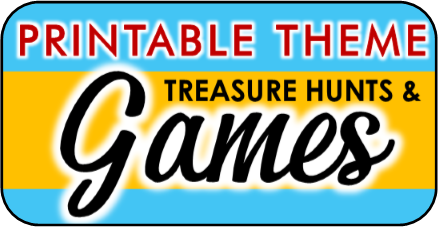 Another game that will go great with your jungle/ safari theme is catch a tiger by his tail. It has all the fun of a piñata without the frustration! You (or another fun spirited adult) must play the tiger. You don’t have to wear a full tigers costume but you will need a tail. The guests must chase the tiger and, you guessed it, try to catch her by the tail. When she is caught she throws out candy and escapes again while all the children are collecting scooping it up. Then the chase is on again! This game continues until all the candy is gone. To make a tail you can use something as simple as a scrap of cloth or rope tied around your waist with a long piece hanging down the back. If you'd rather go with a traditional pinata here are a few I found on Amazon that are adorable! 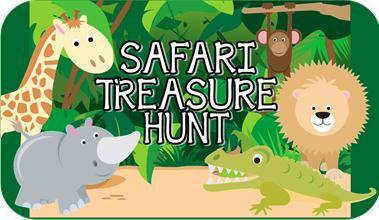 Our Animal Safari Treasure hunt is a fun way to incorporate a bit of animal knowledge into your party. Each clue features fun animal facts and cute graphics. One clue leads to the next until the children race to the complete the final clue to find the treasure. This game comes in an instant download ready-to-print files. Just print and play!! For this safari game you’ll need four lily pads, two for each team. You can make these out of green poster board. Divide the players into two teams. One person from each team goes at a time. They must use their lily pads to make it to the finish line and back without touching the ground. They do this by hopping on one lily pad the putting the other in front of them and hopping on that. When they return to the start they pass the lily pads to the next player. The team that finishes first wins. If you’d rather not play with winners, simply let each child collect a small prize or piece of candy after finishing their turn. Baby hippo wants to play in the water hole but she’s too afraid because of all the snakes! In this jungle party game the little explorers help her out by using craft sticks to remove the toy snakes from the water hole (kiddie pool filled with shredded paper) and into the snake keeper (basket). Each child receives two craft sticks that they use to pick up with snakes with. The children work as a team to get them all out. For this safari party game you’ll need to print out pictures of many different animals and their animal babies and glue them on index cards. Divide the baby animals among all the players and hide the mommy animals throughout the playing area. The children must help find the mommy animal for every baby animal card they have. The children march to the music across jungle animal mats. Each mat has a picture of a different animal. When the music stops all the children have to stand on a mat and become whatever animal they landed on. To create mats just draw or print and paste pictures of animals on to poster board.